Dimensions 27" L x 3." W.
Additional Information: Ndebele women call these "snakes" and they are worn as wedding veils, hanging from the back of the head or the back of the beaded blanket. These are woven without a loom, unlike the beadwork of Native Americans. 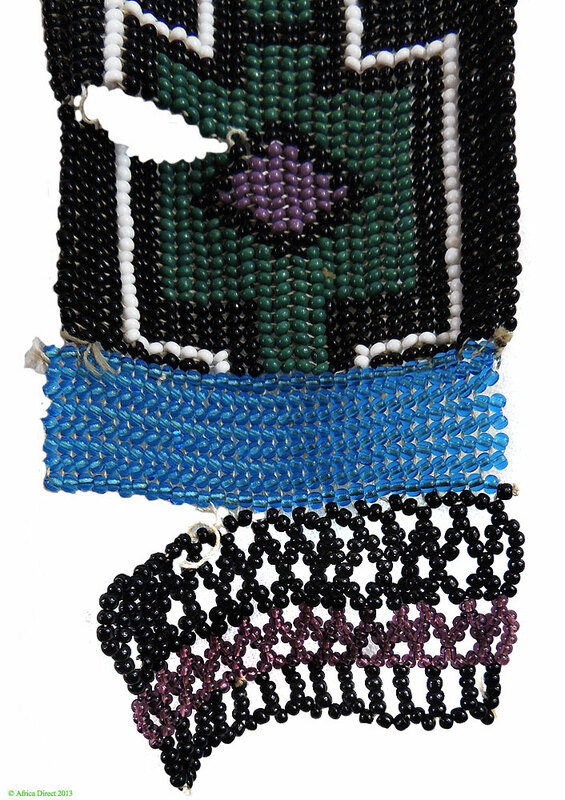 The Ndebele of South Africa are superb bead workers. The women used to wear brass rings around their neck and legs. A few still do, but most now have gold plastic replicas with velcro, worn on ceremonial occasions. 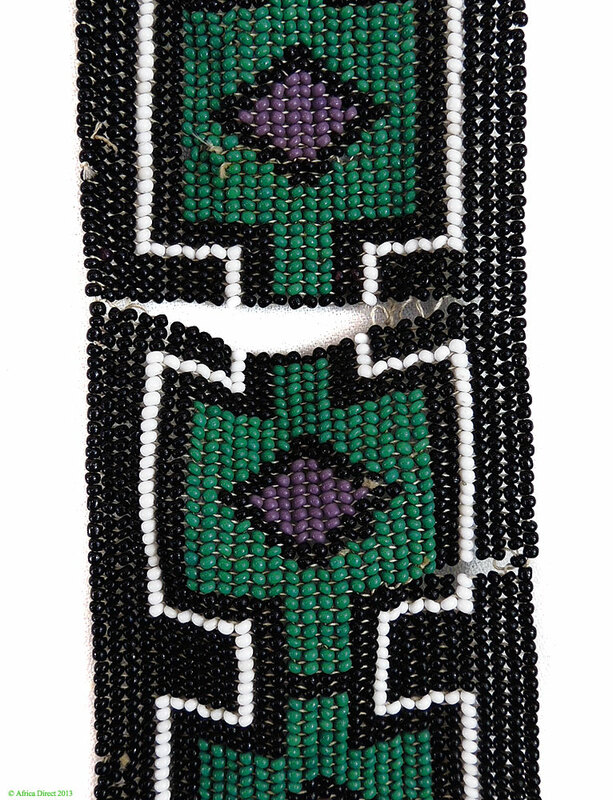 They wear aprons which are heavily beaded with glass beads, in geometric designs similar to those used to paint their houses. They wear beaded blankets like large shawls, and beadwork on their arms, ankles, and heads. For similar examples and much more information, see Courtney-Clarke's NDEBELE.